Here’s a 20th century classic on redemption for FREE from WORDsearch for their Bible software. The author taught at Westminster Theological Seminary for many years (bio below). This FREE offer is available this weekend, 5/30-6/1. 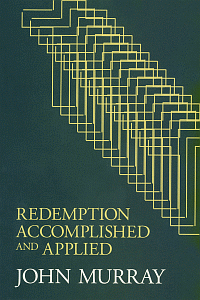 John Murray explores the biblical passages dealing with the necessity, nature, perfection, and extent of the atonement, and goes on to identify the distinct steps in the Bible’s presentation of how the redemption accomplished by Christ is applied progressively to the life of the redeemed.